In this article published by Becker’s Hospital Review, Avizia’s CEO Mike Baird details the risks that direct-to-consumer telehealth may pose to care coordination, including incomplete medical records and gaps in care. He details how a hybrid telehealth solution is a viable alternative, and should be hospital and health system-led augmented by integrated virtual direct-to-consumer services. 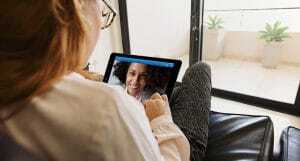 There were a reported 1.25 million DTC telehealth visits in 2015, a trend that is fueled, to some extent, by the belief that virtual DTC care leads to major cost savings because it can replace visits to the doctor’s office and keep patients out of the emergency room. Yet, because most virtual DTC care is episodic, occurring outside of a patient’s trusted health network, multiple clinical and financial issues can arise when patients and providers tap into this modality. Healthcare organizations and patients should be aware of potential disconnects when utilizing DTC telehealth, and make sure the proper checks and balances are in place. When patients reach out to physicians who are employed by “dial-a-doc” type services, they’re engaging with professionals who often have limited access to patients’ personal health records. 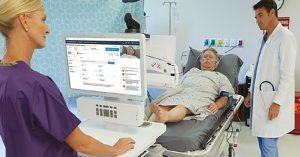 Records from virtual visits can either be siloed, never to be seen again, or because most EHRs aren’t interoperable with telehealth systems, virtual episodes of care aren’t always documented in a way that is searchable. So, if the telehealth consultation contains critical information, the patient’s regular physician may miss it. Similarly, a virtual DTC doctor is at risk of giving inaccurate information or an incorrect prescription because he or she doesn’t have the patient’s complete health record immediately available. There are also potential quality issues that arise with DTC telehealth services. For instance, a health network overseeing a patient may not have access to background information on the physicians who are employed by a DTC telehealth provider. The physicians are outsourced through the DTC vendor, and may not offer care that meets the standards of patients, insurers, or other stakeholders in a given health network. Many of these services are trying desperately to keep patient visits to 5 minutes or less to reduce costs. The need for quality cannot be emphasized enough. 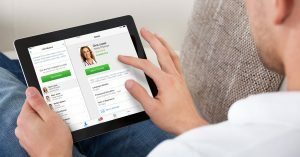 Having a solid physician-vetting system to broker telehealth interactions can help avoid potential communication mishaps and wasted virtual visits. Hospitals, for instance, need to investigate quality metrics such as physician call times, prescriptions, or satisfaction ratings to make sure their telehealth DTC partners meet their standards. Finding ways to bridge fragmentation through technology is also essential to maximizing the benefits of virtual DTC care. Leveraging telehealth networks that can integrate with EHRs and other patient care systems can facilitate better care. At the very least, healthcare providers need the ability to securely fax or email information about a telehealth consultation to one another – and ideally, implement deep EHR integration where patient data is shared bidirectionally in real time for true care coordination. When virtual DTC care is integrated correctly within a larger healthcare network, with careful consideration to quality, it can work well to deliver value. Moving toward the goal of value-based care, healthcare providers need to look at the bigger picture, and ask whether the systems we rely on to improve quality and efficiency are being leveraged properly. Read the complete article on Becker’s Hospital Review.